In the past 2 years I’ve refinanced 3 times. Each time dropping my monthly payment by $100 or more. This might sound extreme, impossible or even ridiculous. In some cases it would be. For me though history just happened to be in my favor. With interest rates historically dropping and having the 87th ranked Loan Officer in the country handling my account everything just fell into place. But still, I did my research. They used to say to refinance your mortgage every 1 percentage point. I did mine for half of that. Even with my Loan Officer making the recommendations, it was my decision to make and be responsible for. Nothing is a given and you have to double check what you’ll be signing. After all, we’re talking about hundreds of thousands of dollars. Refinancing is basically paying off your current loan with a new loan that has a better interest rate and you’ll owe less money. You’re about to put ink to paper for a very large amount of money. It’s fine to trust those around you, like your Real Estate Agent and Loan Officer who have been around the block more than you. But trusting them doesn’t mean you don’t do your due diligence. If something goes wrong you won’t be able to point fingers and will be left with the consequences. Who want’s to refinance into a bad loan that you could potentially be stuck with for 30 years? ConsumersAdvocate.org has lender reviews that are a great source of information that will help with your research. There is a big difference between a FIXED Rate and an ARM (Adjustable Rate Mortgage). A fixed rate means the interest rate never changes over the life of the loan. The ARM means that the interest rate will change after a set amount of time. What interest rate it’ll change to will depend on the state of the market because it follows the Index. Want to buy points to lower your interest rate? This is an option where you purchase points to lower the interest rate. Why would one do that? Well, the lower the interest rate means the less you’ll pay over the life of the loan. Look into this if you refinance your mortgage. After doing your research there might be more that you don’t know so make sure to study. What’s Escrow? How long will I be in Escrow? What’s PMI (Primary Mortgage Insurance) and do I have to pay it? These are all questions you’ll encounter and should know. There will always be pros and cons. But you have to research and study before you’ll fully understand the weight of each one. When you refinance your mortgage it can be easily to get distracted by the monthly savings. But if you’re putting a lot of money down or paying ridiculous fees than it might not actually be worth it. There’s also if you’ve already paid a good chunk of your current loan off. The new loan might be a great deal but the interest you’ll now owe is more than what you had left so it isn’t worth it. The first time I refinanced I got caught off guard a bit. Life didn’t slow down so I could take my time collecting all the necessary docs and save some cash on this new deal. Afterwards I knew I needed to keep all my documents organized. The second time I refinanced it definitely paid off. How will you know if you’re getting the best deal? How well do you know your Loan Officer? 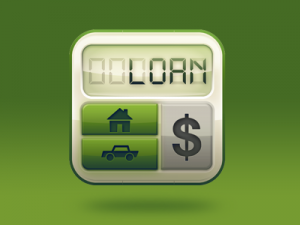 For my first loan and the first time I refinanced I got quotes from other lenders. Over these first couple loans he gained my trust and business. It also helps that he, his name is Michael Deery btw, is ranked number 87 in the country. I’m in good hands. He got me an awesome rate with Freedom Mortgage. Do you know how to use a mortgage calculator? You should be familiar with this so you don’t have to rely on others to always run the numbers for you. When most offer you a refinance opportunity they’re not going to tell you about all the fees. I get so many offers in the mail and email about how much I can save or how low of an interest rate they can offer me. It always ends up being half-truths. Be frank and find out exactly what you’ll owe. On a legitimately good loan you still want to know all the fees you’ll incur. No one likes to be surprised with unexpected bills. Clearly know how your monthly mortgage payment breaks down. What part is house insurance, PMI or interest. The devils in the details. When you refinance your mortgage you’ll be signing and reading more documents than you can imagine. You’ll feel like just doing whatever the notary says to do. Don’t give into this urge though and make sure you know each piece of paper you put your name on. The notary is just their to get your signature. They have no authority or decision power in the loan. Your best interest is not their best interest. Watch out for refinancing scams. There wills always be perpretrators looking to target struggling homeowners. If the deal sounds to good to be true than it probably is. 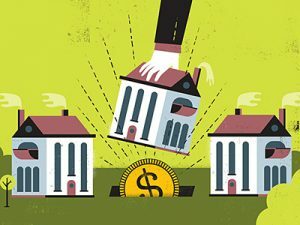 This is where having a reputable Loan Officer can help because you can bounce questions off them. My loan officer I can call any day of the week. I have his number and I remember with my initial loan I knew nothing about the process and he helped educate me. I highly recommend him now to anyone that comes close to mentioning buying a home or refinancing. How did I hear about him? From a coworker who had just recently purchased a home. I still talked with a couple banks but opted to go with a Loan Officer that was personal and available. My brother went through his bank and he had to jump through hoops (2-3 days sometimes) to ask a simple question during the process. It’s your cash and years you’re signing. Hopefully some of these lessons learned will help you have a good experience when you refinance your mortgage.